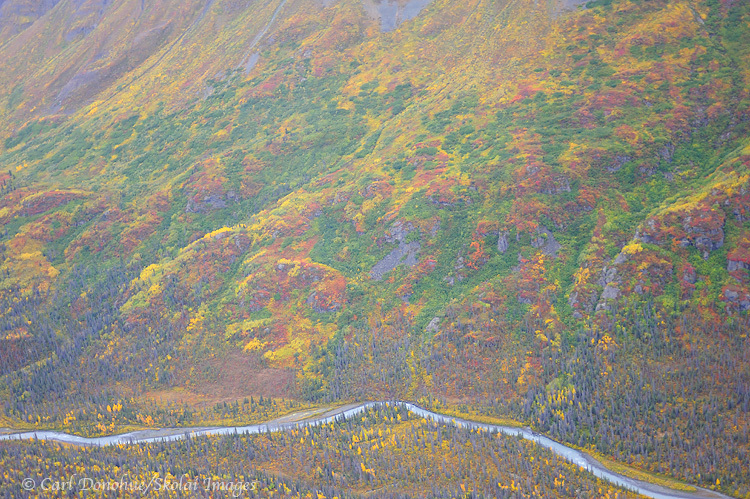 Fall colors in Wrangell - St. Elias National Park and Preserve, Alaska. Aerial photo. Please click on the image above to view a larger version of this photo. Here’s a quick shot from a flight we took over the park last week; the weather wasn’t so awesome, but the flight sure was. I’d shot this valley before, and knew it would have some nice color. Now, back to packing gear for the grizzly bear photo tour. 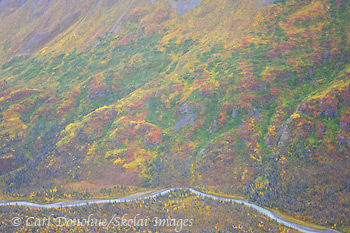 This entry was posted in Abstract Photos, Aerial Photos, Alaska, Fall, Landscapes, Wrangell - St. Elias National Park and tagged Aerial Photos, fall colors, Landscapes, scenics, Wrangell - St. Elias National Park on September 15, 2011 by Carl D.